Wow! What a year 2017 was for Little Sunshine’s Playhouse & Preschool™! It was a busy, successful and truly fulfilling year. Every educator and management team member contributed something special and lasting to our team, and we are happy to have so many candidates for National Teacher of the Year. Our successes lay at the feet of our educators, and we are lucky to have the BEST team teaching and learning with our students every day. Throughout the year, we had more than 100 educators nominated as Teacher of the Month for their respective schools, and we concluded 2017 with 12 spectacular individuals that we recognized as Company-Wide Teacher of the Month. From those honorees, we chose three who exceeded the standard to be nominated for Company-Wide Teacher of the Year. They are caring, driven and smart, but most of all, they adore their students. Each of the nominees went above and beyond in their classrooms and schools. They are valuable assets to our team, and we are extremely lucky to have them as part of the LSP family! 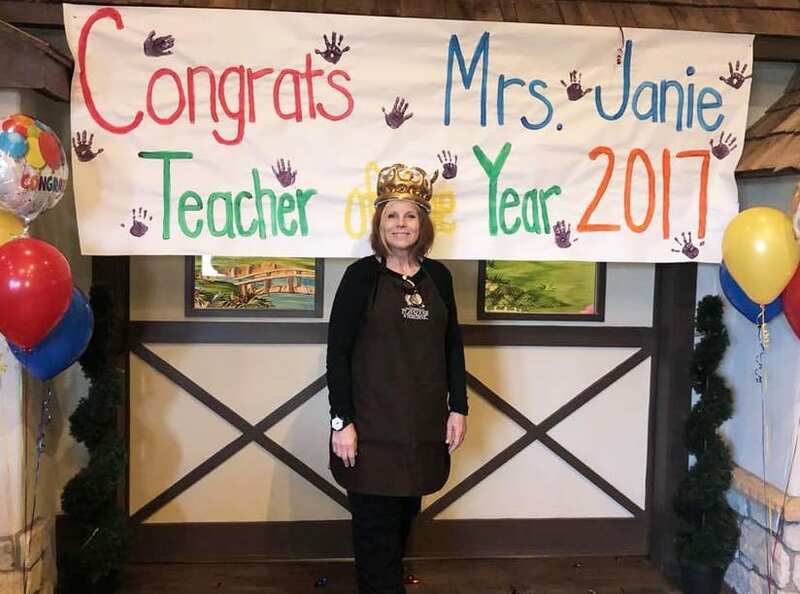 We are pleased to announce the 2017 Little Sunshine’s Playhouse National Teacher of the Year is Janie Sheehan from our Lakeway, Texas, location! Janie leaves an everlasting impression on her students and her students’ families. She embodies the Little Sunshine’s culture and philosophy and assists her students in reaching their fullest potential. Janie has an exceptional understanding of Reggio Emilia and does an extraordinary job of implementing the curriculum and Reggio Emilia-based activities into her classroom. Janie’s classroom parents are so happy to have Janie’s charisma, enthusiasm, and attitude toward teaching instilled in their children every day. Her excellent communication with parents let them rest assured their children are in a safe, nurturing environment and will be well-equipped for their educational journeys. Congratulations, Janie! Thank you for all you do in the lives of your students and families. It is evident how much you are truly cherished. We are very grateful your path led you to Little Sunshine’s Playhouse!